Modern is a furniture set characterized by fronts made of painted glass, where all edges are polished. 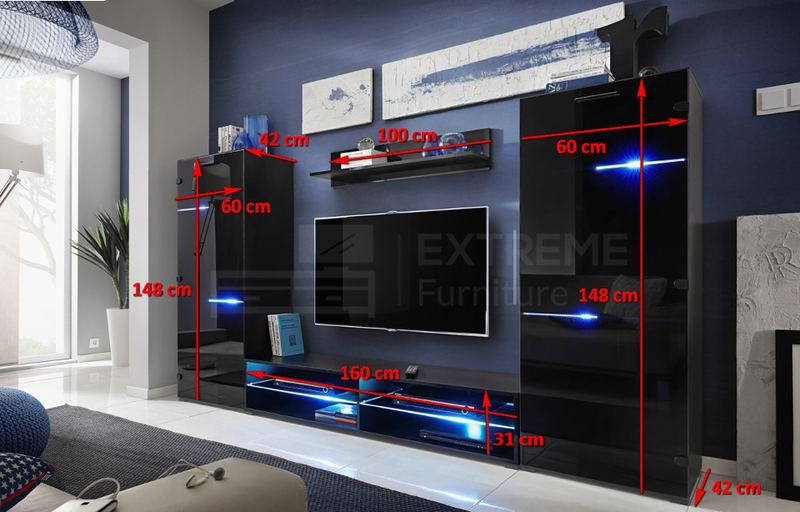 Set is complimented by RGB LED lighting with included remote control. 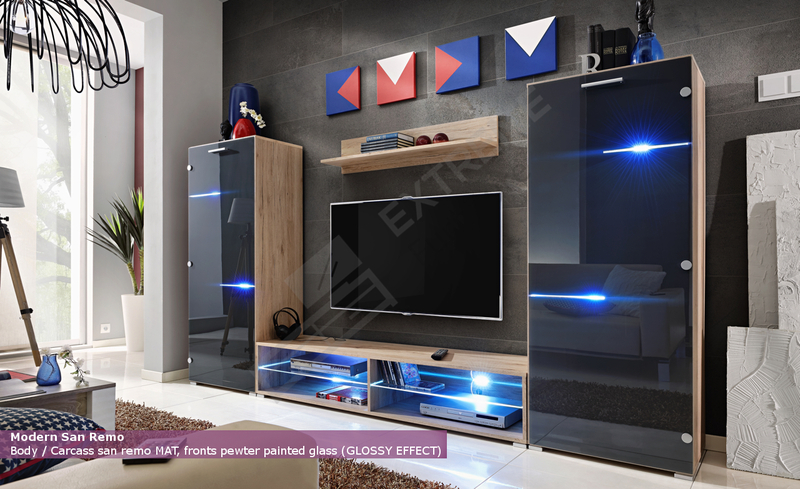 This set comprises of: 1 floor cabinet with 2 open compartments with LED lighted glass shelf in the middle, 2 standing display cabinets and 1 shelf. Front doors are made of glass - IR friendly. Front panels in high gloss finish (painted glass). Carcass in mat. 15 colours RGB LED lights with remote control. European PLUG. Set requires EU - UK power adaptor. This product is in San Remo colour too!